DORO Unveils Cover Artwork And Title Of New Upcoming Album "Forever Warriors, Forever United"
The long-awaited new studio album of DORO will be released on August 17th, 2018 via Nuclear Blast! Today, the metal queen has announced the title of the follow-up to her hugely successful release Strong & Proud (2016, #1 Finland, #2 Germany, #3 UK & Sweden): Get ready for Forever Warriors, Forever United! 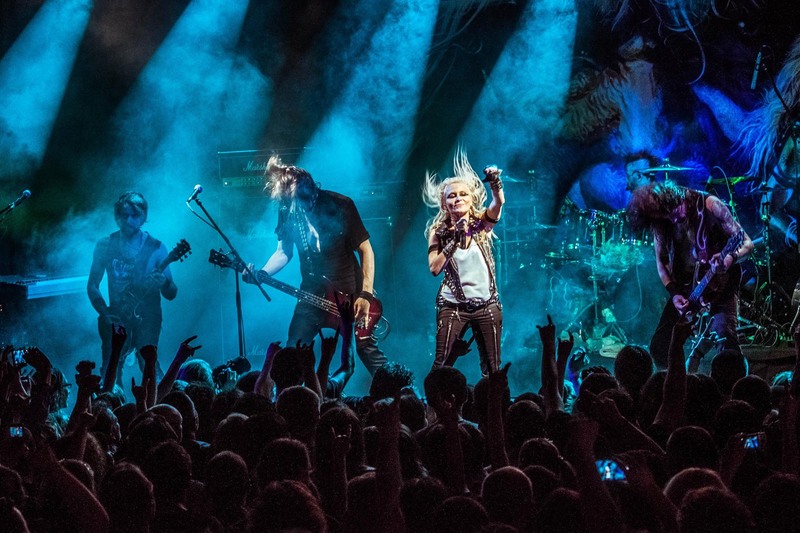 DORO‘s 20th album promises to be a huge milestone as the band’s first-ever double album, so fans can expect 24 brand new songs from the metal queen, which will also undoubtedly feature some stunning surprises. The album cover artwork was once again created by DORO‘s favorite artist Geoffrey Gillespie. It portrays DORO in the middle of a swarm of wild metal heads exuding attitude, power and a lot of positive vibes. Guitarist Doug Aldrich (WHITESNAKE, DIO, DEAD DAISIES) and former WARLOCK guitarist Tommy Bolan, who also contributed to the highly acclaimed album Triumph & Agony in 1987, will also be part of the new album.